46010001 MF 4000 MASSEY FERGUSON MF 4000 wheel tractor. Spare Parts Catalog. 46010002 MF 4200 HHP MASSEY FERGUSON MF 4200 HHP wheel tractor. Spare Parts Catalog. 46010003 MF 4200 LHP MASSEY FERGUSON MF 4200 LHP wheel tractor. Spare Parts Catalog. 46010004 MF 4215 MASSEY FERGUSON MF 4215 wheel tractor. Spare Parts Catalog. 46010005 MF 4220 MASSEY FERGUSON MF 4220 wheel tractor. Spare Parts Catalog. 46010006 MF 4225 MASSEY FERGUSON MF 4225 wheel tractor. Spare Parts Catalog. 46010007 MF 4233 MASSEY FERGUSON MF 4233 wheel tractor. Spare Parts Catalog. 46010008 MF 4235 MASSEY FERGUSON MF 4235 wheel tractor. Spare Parts Catalog. 46010009 MF 4240 MASSEY FERGUSON MF 4240 wheel tractor. Spare Parts Catalog. 46010010 MF 4243 MASSEY FERGUSON MF 4243 wheel tractor. Spare Parts Catalog. 46010011 MF 4245 MASSEY FERGUSON MF 4245 wheel tractor. Spare Parts Catalog. 46010012 MF 4253 MASSEY FERGUSON MF 4253 wheel tractor. Spare Parts Catalog. 46010013 MF 4255 MASSEY FERGUSON MF 4255 wheel tractor. Spare Parts Catalog. 46010014 MF 4260 MASSEY FERGUSON MF 4260 wheel tractor. Spare Parts Catalog. 46010015 MF 4263 MASSEY FERGUSON MF 4263 wheel tractor. Spare Parts Catalog. 46010016 MF 4265 MASSEY FERGUSON MF 4265 wheel tractor. Spare Parts Catalog. 46010017 MF 4270 MASSEY FERGUSON MF 4270 wheel tractor. Spare Parts Catalog. 46010018 MF 4275 MASSEY FERGUSON MF 4275 wheel tractor. Spare Parts Catalog. 46010019 MF 4283 MASSEY FERGUSON MF 4283 wheel tractor. Spare Parts Catalog. 46010020 MF 4290 MASSEY FERGUSON MF 4290 wheel tractor. Spare Parts Catalog. 46010021 MF 4291 MASSEY FERGUSON MF 4291 wheel tractor. Spare Parts Catalog. 46010022 MF 4292 MASSEY FERGUSON MF 4292 wheel tractor. Spare Parts Catalog. 46010023 MF 4292 HD MASSEY FERGUSON MF 4292 HD wheel tractor. Spare Parts Catalog. 46010024 MF 4292 RA MASSEY FERGUSON MF 4292 RA wheel tractor. Spare Parts Catalog. 46010025 MF 4297 MASSEY FERGUSON MF 4297 wheel tractor. Spare Parts Catalog. 46010026 MF 4298 MASSEY FERGUSON MF 4298 wheel tractor. Spare Parts Catalog. 46010027 MF 4299 MASSEY FERGUSON MF 4299 wheel tractor. Spare Parts Catalog. 46010028 MF 4315 MASSEY FERGUSON MF 4315 wheel tractor. Spare Parts Catalog. 46010029 MF 4320 MASSEY FERGUSON MF 4320 wheel tractor. Spare Parts Catalog. 46010030 MF 4325 MASSEY FERGUSON MF 4325 wheel tractor. Spare Parts Catalog. 46010031 MF 4335 MASSEY FERGUSON MF 4335 wheel tractor. Spare Parts Catalog. 46010032 MF 4345 MASSEY FERGUSON MF 4345 wheel tractor. Spare Parts Catalog. 46010033 MF 4355 MASSEY FERGUSON MF 4355 wheel tractor. Spare Parts Catalog. 46010034 MF 4360 MASSEY FERGUSON MF 4360 wheel tractor. Spare Parts Catalog. 46010035 MF 4365 MASSEY FERGUSON MF 4365 wheel tractor. Spare Parts Catalog. 46010036 MF 4370 MASSEY FERGUSON MF 4370 wheel tractor. Spare Parts Catalog. 46010037 MF 4435 MASSEY FERGUSON MF 4435 wheel tractor. Spare Parts Catalog. 46010038 MF 4435 Tier 2 MASSEY FERGUSON MF 4435 Tier 2 wheel tractor. Spare Parts Catalog. 46010039 MF 4435 Tier 3 MASSEY FERGUSON MF 4435 Tier 3 wheel tractor. Spare Parts Catalog. 46010040 MF 4445 MASSEY FERGUSON MF 4445 wheel tractor. Spare Parts Catalog. 46010041 MF 4445 Tier 2 MASSEY FERGUSON MF 4445 Tier 2 wheel tractor. Spare Parts Catalog. 46010042 MF 4445 Tier 3 MASSEY FERGUSON MF 4445 Tier 3 wheel tractor. Spare Parts Catalog. 46010043 MF 4455 MASSEY FERGUSON MF 4455 wheel tractor. Spare Parts Catalog. 46010044 MF 4455 Tier 2 MASSEY FERGUSON MF 4455 Tier 2 wheel tractor. Spare Parts Catalog. 46010045 MF 4455 Tier 3 MASSEY FERGUSON MF 4455 Tier 3 wheel tractor. Spare Parts Catalog. 46010046 MF 4607M MASSEY FERGUSON MF 4607M wheel tractor. Spare Parts Catalog. 46010047 MF 4608 MASSEY FERGUSON MF 4608 wheel tractor. Spare Parts Catalog. 46010048 MF 4609 MASSEY FERGUSON MF 4609 wheel tractor. Spare Parts Catalog. 46010049 MF 4609M MASSEY FERGUSON MF 4609M wheel tractor. Spare Parts Catalog. 46010050 MF 4610 MASSEY FERGUSON MF 4610 wheel tractor. Spare Parts Catalog. 46010051 MF 4610M MASSEY FERGUSON MF 4610M wheel tractor. Spare Parts Catalog. 46010052 MF 4707 MASSEY FERGUSON MF 4707 wheel tractor. Spare Parts Catalog. 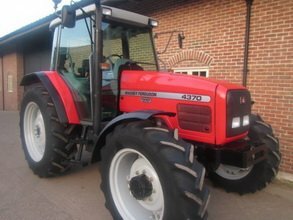 46010053 MF 4707 Tier 3 MASSEY FERGUSON MF 4707 Tier 3 wheel tractor. Spare Parts Catalog. 46010054 MF 4708 MASSEY FERGUSON MF 4708 wheel tractor. Spare Parts Catalog. 46010055 MF 4708 Tier 3 MASSEY FERGUSON MF 4708 Tier 3 wheel tractor. Spare Parts Catalog. 46010056 MF 4709 MASSEY FERGUSON MF 4709 wheel tractor. Spare Parts Catalog. 46010057 MF 4709 Tier 3 MASSEY FERGUSON MF 4709 Tier 3 wheel tractor. Spare Parts Catalog. 46010058 MF 4710 MASSEY FERGUSON MF 4710 wheel tractor. Spare Parts Catalog. 46010059 MF 4800 MASSEY FERGUSON MF 4800 wheel tractor. Spare Parts Catalog. 46010060 MF 4900 MASSEY FERGUSON MF 4900 wheel tractor. Spare Parts Catalog.